Mount Everest tragedy: Why many climbers who climb at Mount Everest from Tibet not save their partners? Every year, hundred and thousands of people from all over the world plan to tour to Everest base camp in Tibet. But there are a few of climbers would like to challenge themselves and make great efforts on climbing Mt. 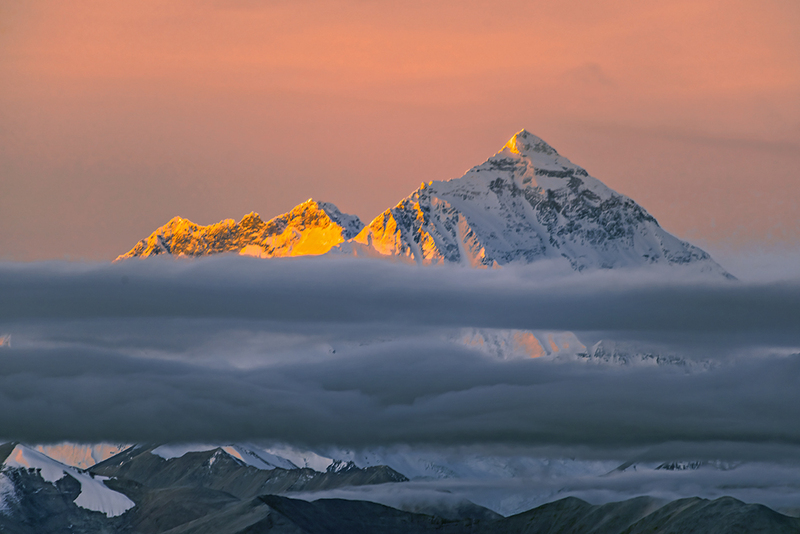 Everest in Tibet. "At 8500 meters above sea level, people can't demand moral measurements." Jon Krauer who was an author written by "Into thin air" said. After experiencing the disaster of Mount Everest in 1996, he has written the book which called "Into thin air" and won the Pulitzer Prize. 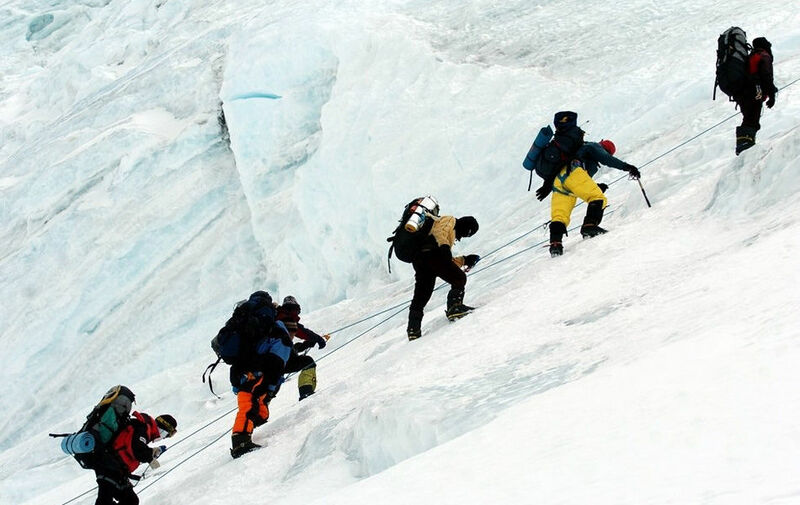 On the way to climb Mount Everest, you will see so many corpses who were climbing Mount Everest victims. These bodies have become a landmark which always reminded the climbers who pass this way. How dangerous and cruel adventure it is! Some of them had no chance of surviving, but some have died because the other climbers refused to help them. 1 Why many climbers can't save Francys Arsentiev who climbed Mount Everest from Tibet? 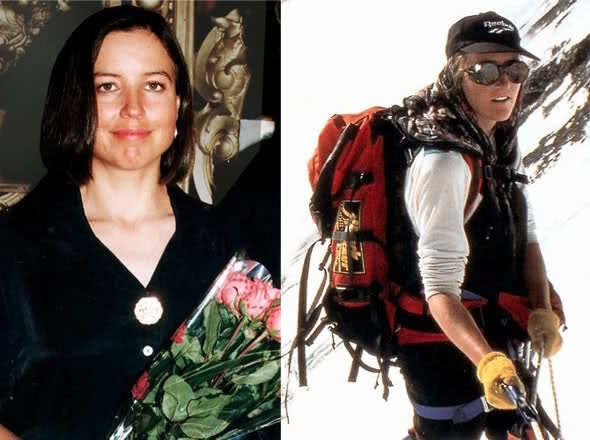 In May 1998, American woman mountaineer Francys Arsentiev successfully boarded the Mount Everest, has become the first female who climbed the Mount Everest without auxiliary oxygen equipment. During that time, she climbed Mount Everest with her husband Sergey Arsentiev. When they go down the mountain together, Frances was seriously hypoxic, fell to the ground two hundred forty-four meters away from the peak. The husband went down the mountain alone for help. Unfortunately, he slipped off the steep ice shelf and died in the nameless ravine beneath Mount Everest. Lan Woodall South who was an Africa Mountaineer has led a team to climb Mount Everest. He with his climbing partner Cathy O'Dowd was again on Everest when he encountered their friend Francys Arsentiev. Woodall found her still alive and hastened to the rescue for her in hurry. Woodall and Kathy knew that they do not have the ability to put Frances back down the mountain, but can't leave her alone to continue to climb. In order to seek psychological comfort, they choose to go downhill for aid. Frances knew that she could not live until reinforcements arrived. She pleaded with the last breath: "don't leave me, please don't leave me. In the second morning, when another mountaineering team passed by Frances, they found her dead. Nobody can help her. 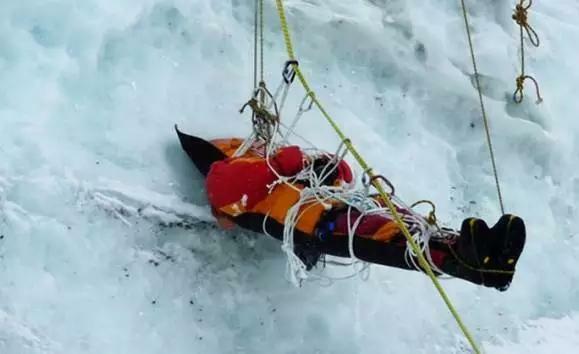 Everyone knew that how dangerous it was to carry the dead body under the north slope of the Mount Everest because of steep rock loose at rolling. The tragedy about Frances died in Mount Everest always torments Woodall’s heart, even though he believes he is not responsible for her death. Nine years later, in order to lay Frances on the peak and let her rest in peace, 50-year- old Woodall decided to return to Mount Everest. He led a funeral Mount Everest expedition and arrived in the northern slope of Mount Everest (5180 meters), he used a satellite phone to reporters said: Nine years later, her dead body was still in the same place, those who challenge Mount Everest climbers can’t spend valuable time and energy to bury the dead body, so we especially climbed the mountain to bury those dead people in Mount Everest. This could be my last Mount Everest adventure." 2 Why Mark Inglis can't save the British climber David Sharp? 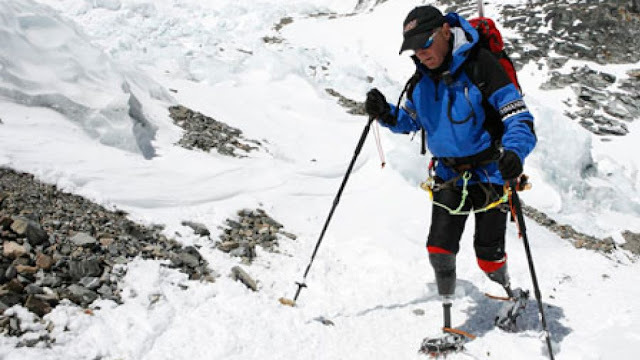 Mark Inglis, the first man to land on the Mount Everest by prosthesis had seen a British climber David Sharp face dying because of hypoxia and cold when he arrived in the Mount Everest soon. But he chose to leave him alone. Inglis said that at the height of 8534 meters, our lives are no guarantee, not to mention saving other people’s life. David Sharp was in a very bad state of death, and we discussed how to save him. It was a tough decision to give him up. We can't help him. He had no oxygen, no suitable gloves against the cold. Hilary who was the first successful ascent of Mount Everest condemned it is an immoral behavior for climbers to not save others. Hilary said: "I think it is everyone's responsibility to help others and help others life is far more important than climb Mount Everest." If we couldn’t climb the Mount Everest, we also can choose to trek to Everest base camp and view the world’s highest mountain- Mount Everest.